The search for the perfect lasagna recipe continues. I think I might have to try them all. Don’t worry. You can definitely use this one. It is good. It just isn’t exactly what I was after. That said, I will very likely make this again. It really isn’t fair that I go and review a recipe when I didn’t actually follow it. In this case, I used (frozen) leftover sauce from my daughter’s sleepover a few weekends ago. This simplified the process (as did using no-cook pasta) but it was not enough sauce. I also somehow did not read the ingredient list correctly and so did not see the fresh herbs listed. I did have fresh parsley, but used dried oregano and basil. The flavor was still very good, but I think fresh makes a difference. 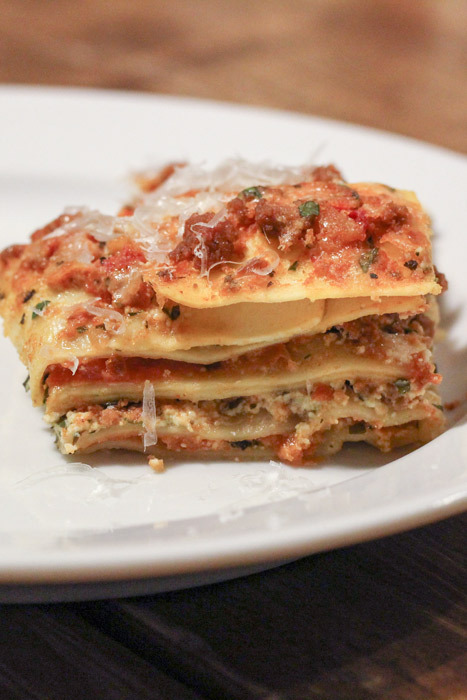 One thing about this recipe that was different was the instruction to cover the entire lasagna with parchment prior to covering with foil and baking. This created a nice little seal – almost like a steam packet. It worked really well for cooking the lasagna without making it soggy. I would definitely try this technique again. 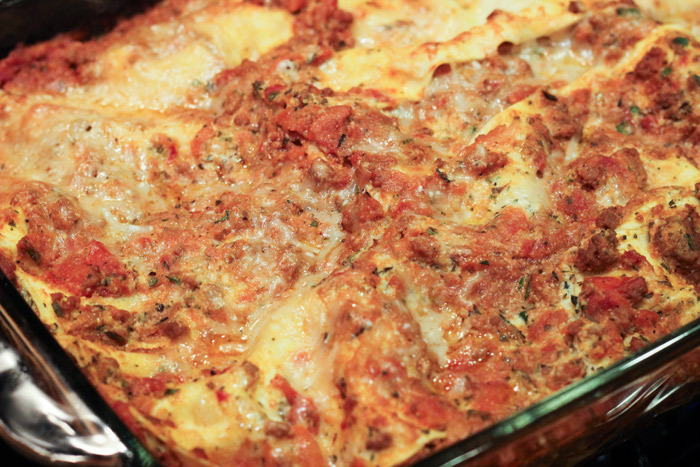 Next time, I will make this lasagna with the sauce as instructed. I will also add some frozen spinach to the ricotta mixture. It’s a great way to get kids (and husbands) to eat their greens without knowing it. Tricky, I know, but sometimes you have to create your own magic.